ST. GEORGE — A driver who failed to see a long line of motionless vehicles waiting ahead of him for a green light ran into the back of an SUV Thursday. 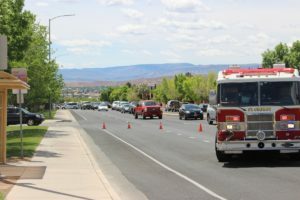 At 12:30 p.m. officers were dispatched to a two-vehicle crash near the corner of River Road and East 170 South involving a silver Hyundai Accent and a dark colored Ford Explorer, St. George Police Officer Ken Childs said. 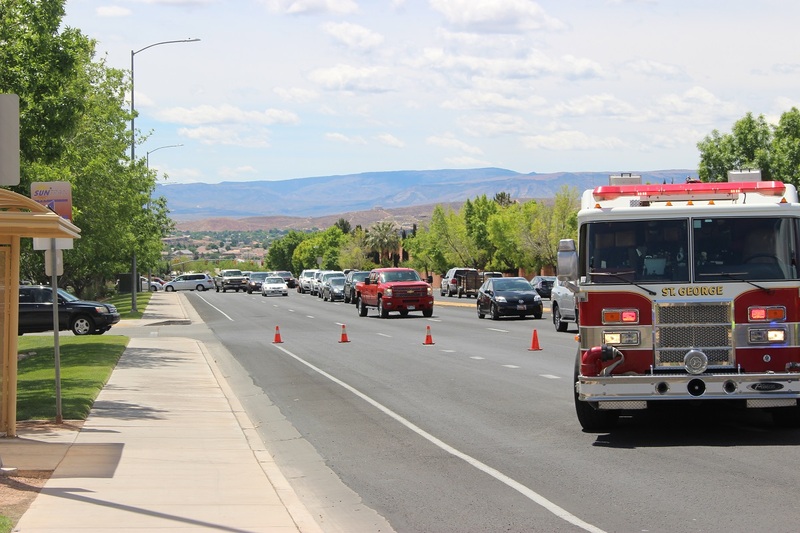 Once emergency personnel arrived on scene the man driving the Hyundai was transported to Dixie Regional Medical Center for “non life-threatening injuries that were related to the collision and the air bag deploying,” Childs said. “The passenger in the Ford said he had minor whip lash, but refused to be transported,” he added. Officers determined after speaking with witnesses that a long line of vehicles were stopped on River Road waiting for the light to turn green at the intersection of East 100 South. The man driving the Hyundai was heading north on River Road and failed to see the line of cars ahead. 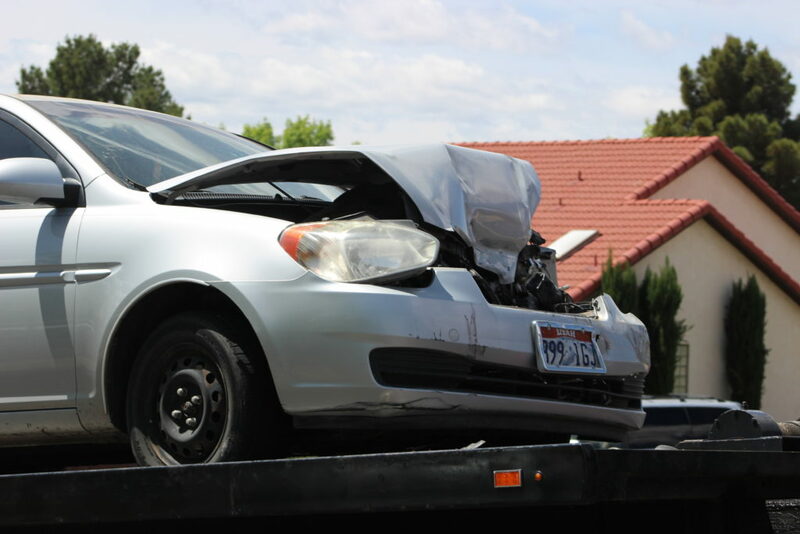 He slammed into the rear bumper of the Ford that was also waiting in line for the light to turn green. 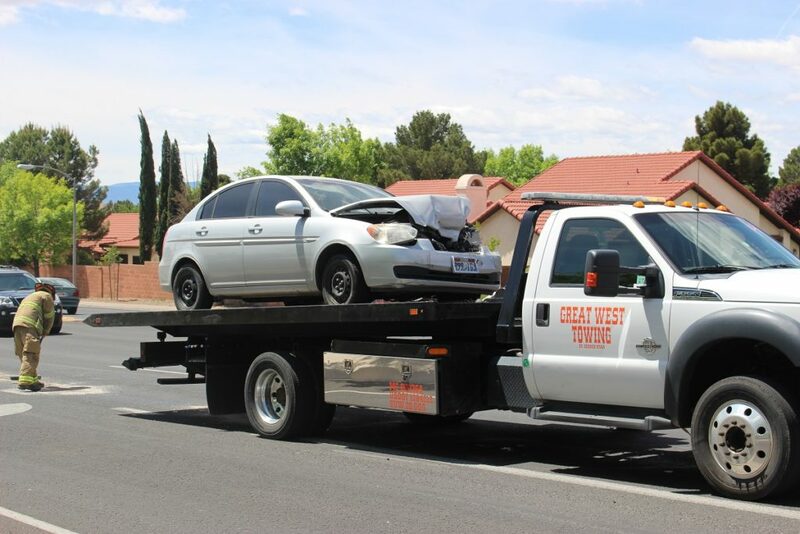 The Hyundai sustained extensive frontal damage and was towed from the scene, while the damage to the Ford was confined to the rear bumper. A tow hitch on the Ford caught the front bumper of the Hyundai and took the brunt of the impact. All occupants were wearing seat belts at the time of the crash. The driver of the Hyundai was cited for following too close. This report is based on preliminary information provided by law enforcement or other emergency responders and may not contain the full scope of findings. Click on photo to enlarge it, then use your left-right arrow keys to cycle through the gallery. Cody Blowers was raised in South San Francisco, California. A 2013 graduate of Colorado Technical University, Cody earned her bachelor’s degree in criminal justice with a minor in paralegal studies. Through the course of her academic studies she discovered that writing is her true passion, and she is committed to providing credible, integrated news coverage. Cody joined St. George News in 2015, and when she’s not busy chasing the news, she can generally be found chasing her young granddaughter, Kali. Cellphone records please, somebody could have been killed!! !